One of the realizations in running our sanitary pads project was that girls had a pretty low self-esteem and were not empowered enough to realize the leadership potential within themselves.This led us to finding a new approach through establishing mentorship clubs in the schools we work in. We spoke to the schools administration and asked them to announce about the program and inform interested girls to apply. Through a vigorous selection process, we carefully selected girls on the basis of economic background, academic performance and discipline. 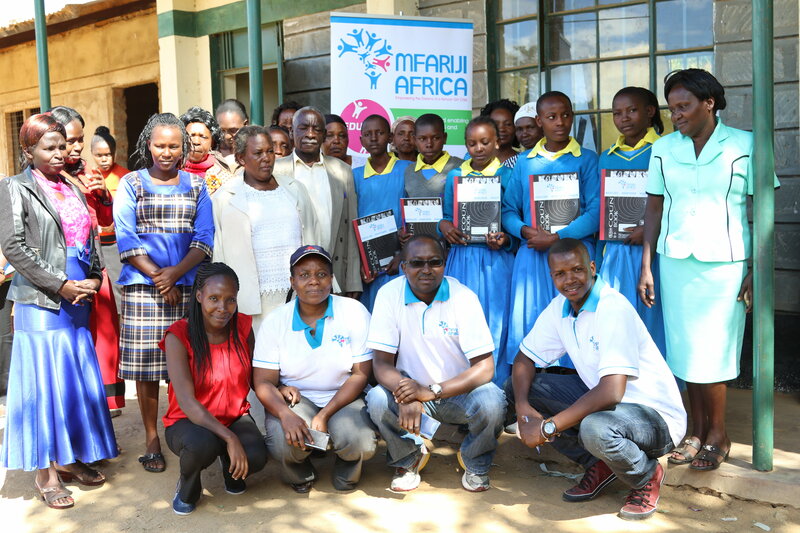 Mfariji mentorship clubs were launched in Kitui on 19th May 2017. We used a participatory approach where we engaged all the stakeholders to air their views on the mentorship curriculum. This involved much consultations and open discussions with parents,teachers,peer mentors and mentees.After a long day of discussions, break out sessions and a mock club meeting all stakeholders agreed on the most pressing topics for discussion.Using a USAID curriculum we are building up to create our own curriculum based on the most needy areas for our girls.The girls have met for a full month already and tackled topics on Standing up for yourself,Goal setting,Decision making and Liking yourself. Our model is built on Cascading Leadership where we are working with older adolescent girls or young women to be leaders and run programs for younger adolescent girls. These is a group of promising, older girls, but from the same disadvantaged community who we have put through an intense training to prepare them to be mentors. At the same time, we are building the mentees through the mentorship clubs to take on leadership responsibilities as trainers/facilitators and pass on the information to other girls. Stay tuned for more details as we grow leaders one girl at a time.